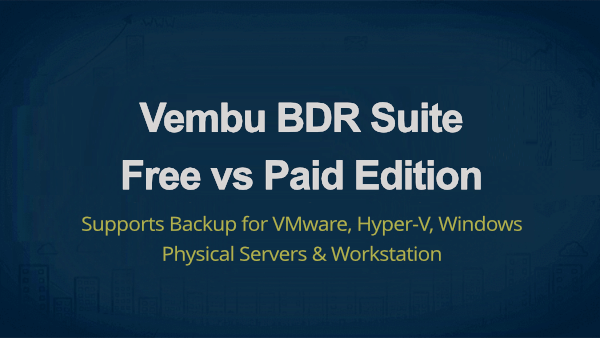 Vembu BDR Suite comes with three different editions that aims at ensuring modern data protection to Small, Medium, and Enterprise businesses. Get started with knowing the differences between the functionalities of these editions to make the best decision that fulfills the backup requirements of your business. Bandwidth throttling in client & Backup server Optmize your network utilization during peak production hours by limiting bandwidth usage. Instant granular recovery for Microsoft Exchange Browse, search and restore the individual Exchange items such as emails, calendars, contacts of users directly from the backup data using Vembu Universal Explorer.